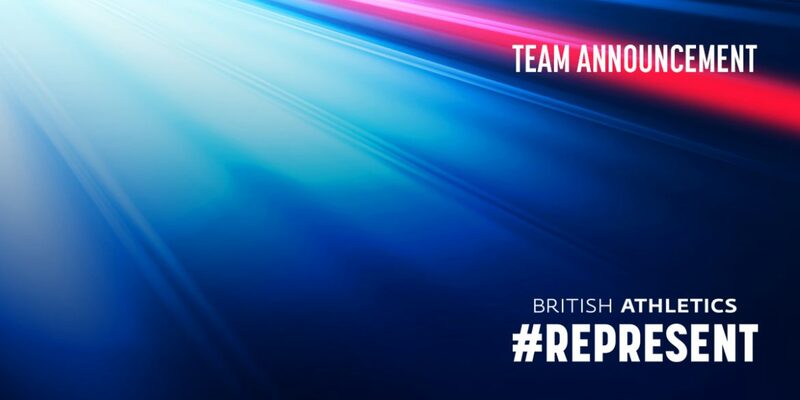 British Athletics have today named a team of 26 athletes with 78 major international outdoor medals between them for the IAAF World Relays in Yokohama, Japan from 11-12 May 2019. The 26-strong British team includes seven Olympic, 17 World Championship and 21 European Championship relay medallists. Adam Gemili (Blackheath & Bromley; Rana Reider), Nethaneel Mitchell-Blake (Newham & Essex Beagles; Lance Brauman) and CJ Ujah (Enfield & Haringey; Jonas Dodoo), who helped Great Britain & Northern Ireland to world 4x100m gold in 2017, are all selected and will be joined by fellow European champion from 2018 Harry Aikines-Aryeetey (Sutton & District; Benke Blomkvist) as well as British champion and European silver medallist over 100m Reece Prescod (Enfield & Haringey; Dodoo) and two-time world indoor champion Richard Kilty (Middlesbrough Mandale; Blomkvist). In the women’s 4x100m, Olympic bronze medallists from 2016 and world silver medallists from 2017 Desiree Henry (Enfield & Haringey; Brauman), Daryll Neita (Shaftesbury Barnet; Dodoo) and Asha Philip (Newham & Essex Beagles; Steve Fudge) have been named on the British team. They’ll be joined by European champion from 2018 Bianca Williams (Enfield & Haringey; Lloyd Cowan), European champion from 2014 Ashleigh Nelson (City of Stoke; Michael Afilaka) and double world junior bronze medallist Kristal Awuah (Herne Hill; Matthew Thomas). In the women’s 4x400m, Emily Diamond (Bristol & West; Blomkvist), Eilidh Doyle (Pitreavie; Brian Doyle) and Anyika Onuora (Liverpool; Blomkvist) all have Olympic bronze medals from 2016 and earn selection alongside Finette Agyapong (Newham & Essex Beagles; Coral Nourrice), Amy Allock (Aldershot Farnham & District; Glyn Hawkes), Zoey Clark (Thames Valley; Eddie McKenna) and Laviai Nielsen (Enfield & Haringey; Christine Bowmaker). Clark and Nielsen won world silver with Diamond and Doyle in 2017 while Agyapong and Allcock won their first international relay medals with European bronze last year. Martyn Rooney (Croydon) – the most decorated athlete on the team alongside Doyle with seven major outdoor relay medals – is the seventh Olympic medallist selected following his 4x400m bronze from 2008 and headlines a squad including fellow world bronze medallists from 2017 Dwayne Cowan (Hercules Wimbledon; Cowan), Rabah Yousif (Newham & Essex Beagles; Carol Williams) and Matthew Hudson-Smith (Birchfield Harriers; Brauman) – also the reigning European champion over 400m. European champions Dina Asher-Smith (Blackheath & Bromley; John Blackie) and Zharnel Hughes (Shaftesbury Barnet; Glen Mills) have been given permission by British Athletics not to compete at the IAAF World Relays in line with their individual competition plans for the 2019 season. The 14 athletes selected across the men’s and women’s 4x400m are the athletes from which the team for the mixed 4x400m will be selected, which is being introduced to the IAAF World Championship schedule for the first time ever in Doha this year. Great Britain & Northern Ireland will not participate in the 4x200m, shuttle hurdles or 2x2x400m relays. British Athletics Performance Director Neil Black said: “We are extremely proud of the successes of our relay teams over the past three years and our athletes take each and every opportunity to compete on the international stage incredibly seriously, as proven by the sheer strength of the team selected for Yokohama. “We expect our athletes to continue that tradition of success in Japan and guarantee qualification for all five events for the IAAF World Championships later in the year. The introduction of the mixed 4x400m for Doha is something we are all excited about and we look forward to testing our skills in that event.